Dave Aftandilian is assistant professor of anthropology at Texas Christian University in Fort Worth. He holds a B.A. from Cornell University, and Master’s and Ph.D. degrees in Anthropology from the University of Chicago. He co-leads a project with Gavin Van Horn of the Center for Humans and Nature in Chicago entitled “City Creatures.” The goal of the project is to raise awareness about and inspire caring for nonhuman animals in Chicago, which we will do through a blog, an edited book of accessible essays from multidisciplinary and transdisciplinary perspectives, and through selected public events. 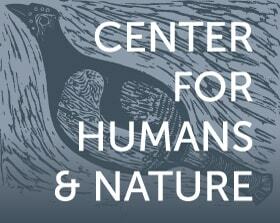 His research and teaching interests center on the fertile ground where nature and culture meet. For his dissertation, which he is working on turning into a book called “Owl Woman and the Corn Spirits: Animals, Art, and Religion among the Illinois Mississippians,” he studied whether and how perceptions of animals changed when precontact Native Americans living in Illinois about a thousand years ago started farming maize (corn) intensively. Dave is co-chair of the Animals and Religion Consultation for the American Academy of Religion and vice president for Nature in Legend and Story, a group that is dedicated to helping people reconnect to nature through the medium of story. He also serves on the advisory committee for the Tarrant Area Food Bank’s Community Gardening Project, which has led to a new survey research project on best practices for food banks to use if they want to help establish community gardens or urban farming programs.